Beijing skyline in the evening. The country’s national climate commitment calls for 50 percent of all new buildings constructed by 2020 to be certified green buildings, while its 13th Five-Year Plan prioritizes building efficiency. Following through on these commitments would grow the country’s green building sector from 5 to 28 percent by 2030, representing a $12.9 trillion investment opportunity. In the face of these goals, China is undergoing massive urbanization, which could increase buildings’ energy use by as much as 40 percent in the next 15 years. The question now is: How can those responsible for building construction—namely, cities, towns and developers—deliver on the lofty goals set by the national government? This is a key question on global decision-makers’ minds, including at next week’s 8th Clean Energy Ministerial in Beijing, which brings together energy ministers from 24 countries. You can’t change what you don’t measure. Energy monitoring systems collect data about buildings’ energy use to improve operators’ understanding of how and when they consume energy. Operators can then optimize a building’s energy performance by adjusting heating or cooling systems, lighting levels or hours of operation, leading to significant savings. Shanghai’s Changning District put in place an energy monitoring platform that now tracks 160 of the district’s 165 public buildings. Thanks to the project, 32 buildings have been retrofitted to achieve an average 20 percent energy savings. To encourage the remaining 133 public buildings to renovate, the district is considering using a third-party ranking system to rate buildings on their energy performance, a strategy that’s proved effective in other locales. Wuxi City High-Tech Industrial Development Zone is the engine of the Wuxi economy. With 560,000 residents in a city of 6.5 million, the zone contributes 17 percent of Wuxi’s economic activity. But the zone’s economic output also comes with outsized energy demand from buildings housing factories, offices and other facilities. To drive the construction of energy-efficient buildings, Wuxi issued an innovative investment guidance policy in February 2016: incentives for buildings that meet criteria under two green building certification programs, LEED and China’s national three-star rating system. Buildings that achieve the highest green building ratings in either certification program receive 500,000 yuan ($73,620) from the district government; buildings with the next-highest level of certification are eligible for a 200,000-yuan ($29,050) incentive. Similar incentives are in place for the use of heat pump technology, solar photovoltaic systems, and other energy efficiency and renewable energy technologies. While it’s still early to see the full impact of this incentive program, Wuxi is clearly leading by example: the district has already achieved the highest level of the latest LEED certification for the new Wuxi Xinwu District Ecological Civilization Pavilion Project, one of only 36 buildings in the world to do so. 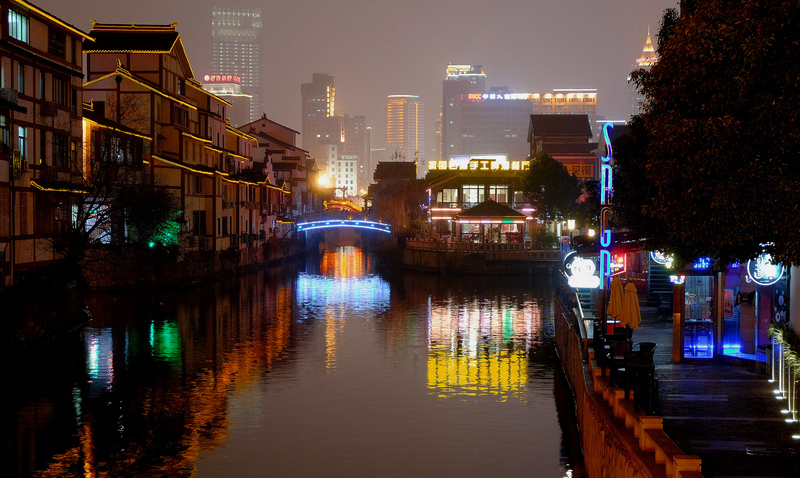 As China continues to urbanize, entire new cities are being built from scratch. Suzhou Taihu New City in Jiangsu province is one example. Currently in the planning and design stages, Suzhou Taihu New City will house 200,000 residents and focus on high-end service industries such as education and training, research and development, tourism and finance. All of Suzhou Taihu New City’s buildings will be designed to receive at least a two-star rating from China’s national green building certification program. The city will also boast a green building demonstration area, constructing several projects like zero-energy schools and monitoring their energy performance. Suzhou Taihu New City will be completed in 2020. New cities and other urban construction sites emerging across China would do well to learn lessons from its planning and design process. Ambitious national policies and strong local examples are all positive signs that China is moving forward on building efficiency. But its cities still face several challenges: comprehensive urban planning, implementing policies and regulations, deploying available energy efficiency technologies and developing effective business and financial models. There are immediate opportunities for China to bridge the gap between its green building ambitions and implementation. 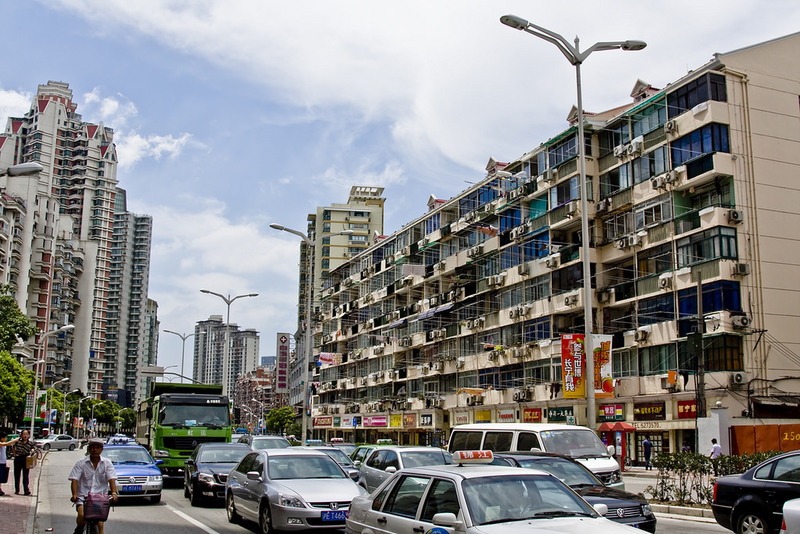 First, the Building Efficiency Accelerator (BEA), a global partnership coordinated by WRI, provides opportunities for cities to showcase examples of innovative building efficiency programs, and to connect with global technical experts to take local action. Chinese districts that join the BEA will be able to tap into this expertise and use the platform to share their leadership and successes. Second, cities in China and in all countries around the world will be more successful when their national governments build support for action at the ministerial level, and equip them with the necessary financial and technical support. Energy ministers can demonstrate their support for city-level building efficiency action at the Clean Energy Ministerial, raising the urgency and visibility of this too-often invisible action: reducing the energy consumption of our buildings. EDITOR'S NOTE, 5/31/17: This post's headline originally indicated that China's green building sector would grow 500 percent by 2020. We have since updated the headline to reflect the fact that the sector is poised to grow fivefold by 2030.